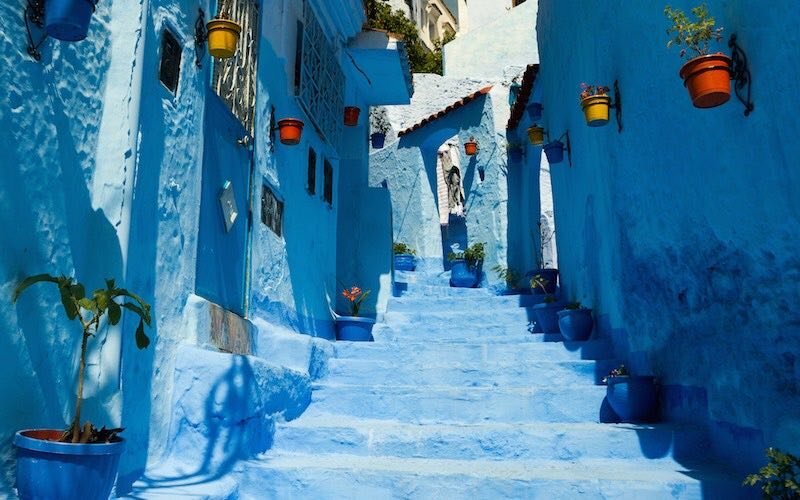 Our Morocco itineraries focus on culture, history, cities, the desert, and hidden getaways. All of the trips are private and customized, tailored to your dates and preferences. Each route is flexible and fine-tuned with you step-by-step. We put a lot of energy into each and every trip we arrange, so it does take some time. We arrange only customized, private itineraries and limit how many itineraries we are working on any one time. Please note that we do not arrange group departures that individuals can join, but only complete, customized packages where we arrange accommodations, transportation, local guides, driver and in-country host, and certain meals. If you are traveling 6 months or more (four months minimum) from now for more than 8 days in country, we may be a great fit for you! If you are a word-of-mouth traveler, please do let us know. Please read below before using our contact us page to initially connect. When you first contact us, you’ll receive some informational emails about Morocco and the best ways to begin planning your trip. We aim to send you a personalized response as quickly as possible (usually within two weeks). If we are a good fit for you, then we will plan a time to begin working with you on your full route. And, it’s during this time that we’ll send you details on our nonrefundable Itinerary Design Deposit ($250 total – not per person) that allows us to give you and your itinerary our full energy and focus. If you book with us, this deposit is applied to your trip cost. If you decide to not book with us, you will have received a well-designed route that you can use independently or elsewhere. Even if we aren’t able to help you put together a trip, we hope that you find our blog and travel guide helpful in you planning! If you are a travel agent, please note that we are not looking for any new partnerships at this time. If you run an amazing outbound tour company and arrange FIT or small-group adventures at least ten months or more in advance, please do send us an email. 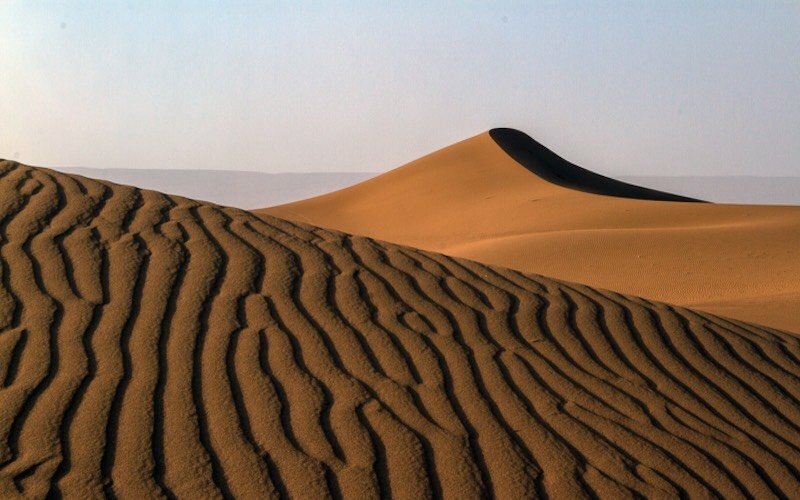 Our trips are focused on high-quality, inspiring experiences and interactions in Morocco. Our trips tend to be priced above other operators and there are several factors for this. Not only do we limit the amount of itineraries we work on at any one time, we limit the number of trips we run per month. This means that each trip rightly receives the focus, attention, and superb implementation it deserves. We believe in paying our team a “thriving” wage (even more than a living wage). Most of our team members not only work with us, but have started their own projects and they (and their families) are thriving. We believe that we set the standard in service and experiential tourism in Morocco, so we charge fairly for our expertise and the expertise of our team. While we do not charge “per day” on our trips, the average cost can be broken down and thought about in this way. Our mid-level trips run $400-600 per person per day. Our deluxe trips run US $700-900 per person per day. And, our luxury trips can run US $1000 or more per person per day. Most of the time, we are able to balance the pricing out to meet various needs in these ranges. Please note that we do not offer itemized cost breakdowns. 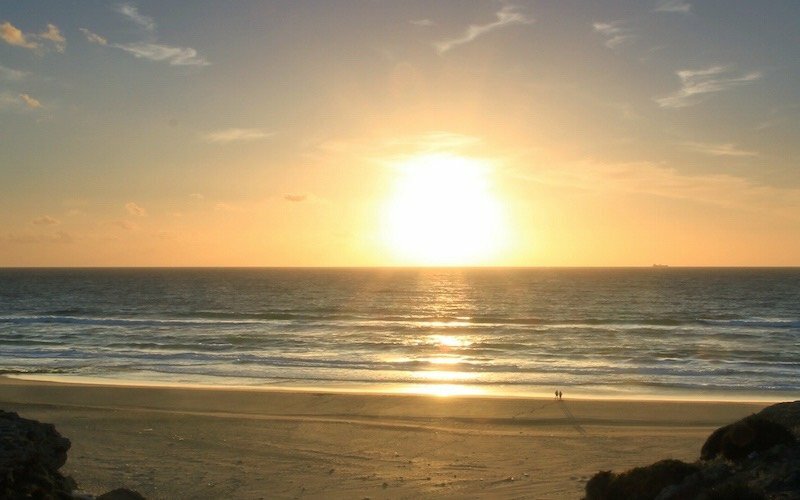 Description: This Morocco itinerary highlights the best of the country including Fez, the Sahara Desert, and Marrakesh. Many companies attempt this route, only a few do it superbly! You can also do this trip in reverse if you are starting (and even ending in) Marrakesh. Description: This itinerary takes you on an ultimate experience through Morocco’s Rif Mountains, Imperial Cities, Desert, mountains, and coast. It’s an on-the-go journey for an encompassing adventure of the nearly the whole country. Description: Experience Morocco’s Imperial Cities in style. 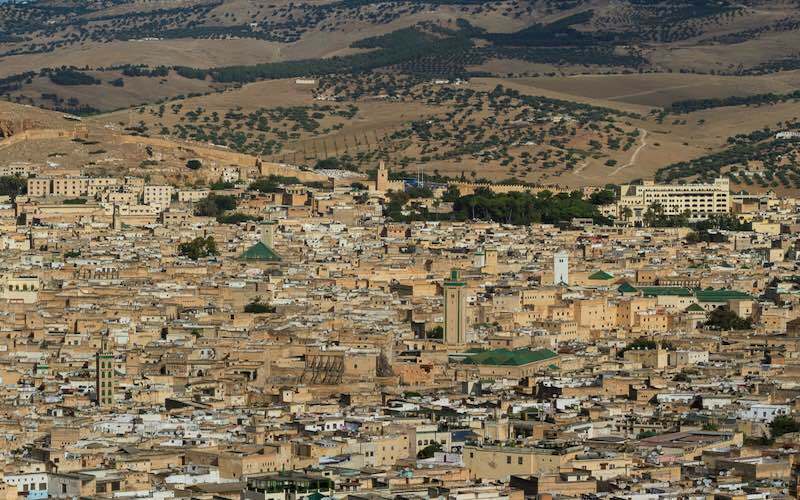 Venture deep into the Medina’s of Fez, Marrakesh, Rabat, and Meknes. Enjoy our hand-picked boutique hotels, superb food, optional shopping in the souks, and lots of city exploration. 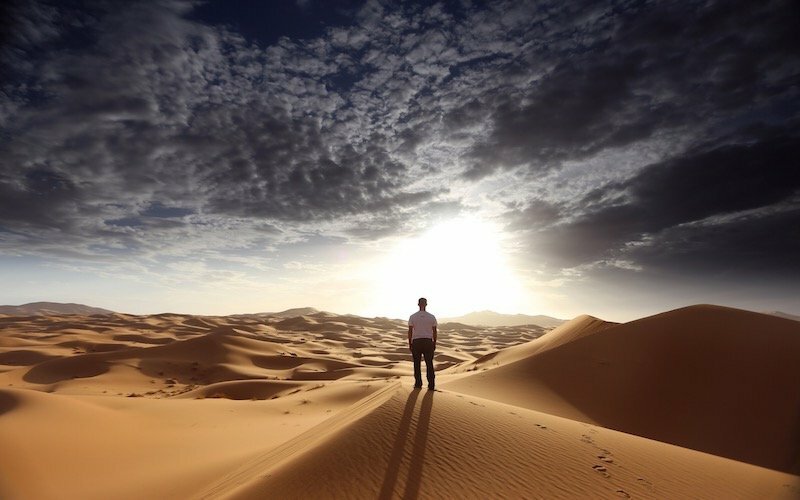 Description: Head to Morocco’s untouched Erg Chigaga desert region, travel through the Anti-Atlas, and to a lesser-explored beach town for fishing and/or surfing on this exciting off-the-beaten path journey. 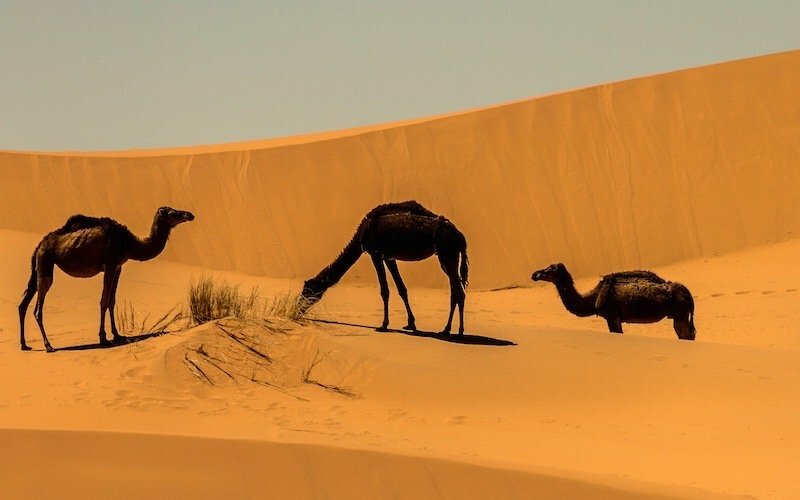 Description: Explore the Kasbah trail, oases valleys and the golden dunes of the Sahara Desert in Erg Chebbi, near Erfoud and Merzouga. Enjoy your very own nomadic tent before returning to Marrakesh. Description: For those travelers who do not want to be “on the go,” this relaxed journey takes you into the Red City of Marrakesh, into the Atlas Mountains for walking and cultural encounters, before topping it off in the laid-back beach town of Essaouira. We are members of the Adventure Travel Trade Association, one of the most renowned travel organizations in the world. We represent some of the planet's top outfitters in Morocco. Journey Beyond Travel works hard to ensure that each trip we do meets modern environmental standards. At the grass-root level we promote ecotourism projects throughout the country. We promote sustainable and responsible travel in Morocco. Our niche of offering high-quality tours ensures low impact on the special places you'll visit with our team.